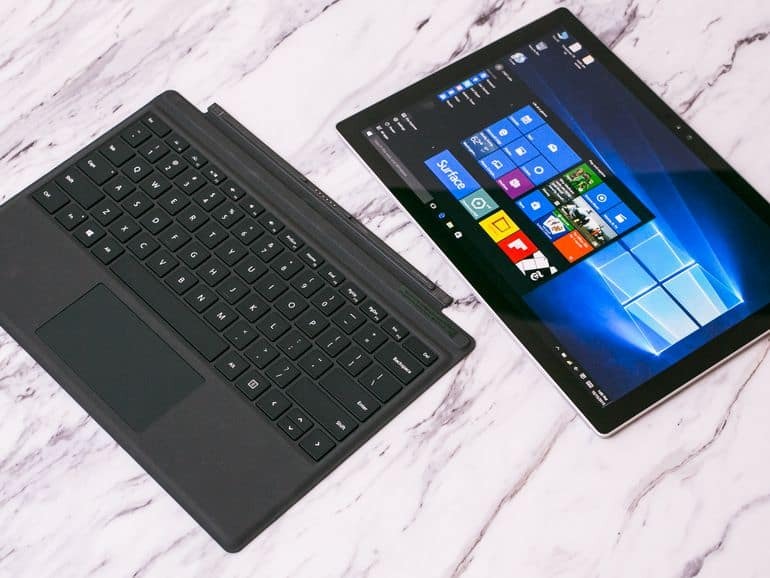 Unlike hard disk drives, which can make a lot of noise when they kick the bucket, solid state drives live and die in near-complete silence. This can make it hard for a layperson to have even the faintest clue what’s gone wrong when they stop being able to access their SSD. In this data recovery case, our client had a Samsung 850 EVO Pro solid state drive in their computer, which no longer booted up. Removing the drive and plugging it into a different computer, they found themselves with no way to access the data on the drive. This Samsung 850 EVO went over to our flash memory data recovery specialists. Taking a look at the drive, we discovered an unusual problem—one we hadn’t seen in any of the SSDs that have visited our lab. 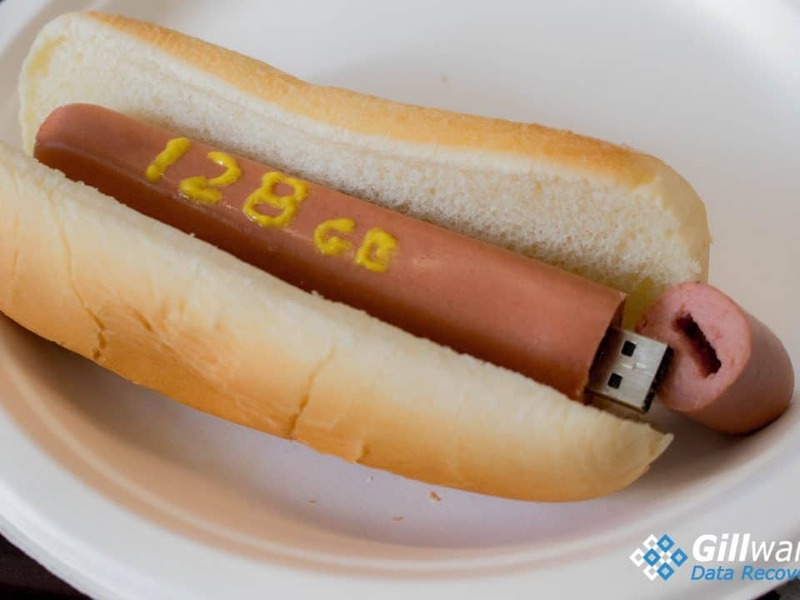 It would take a lot of ingenuity to get our client’s data back. 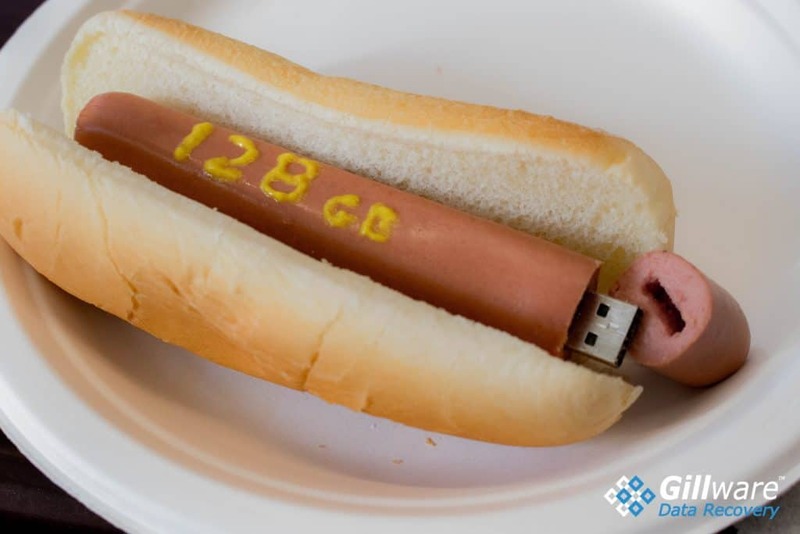 Fortunately for our client, though, ingenuity is in no short supply here in Gillware’s data recovery lab. 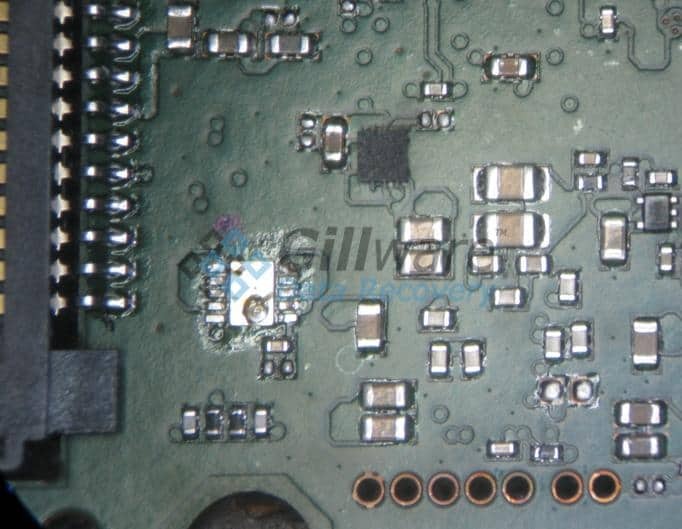 Our data recovery engineers diagnosed the problem with this Samsung 850 EVO SSD as a shorted circuit board. 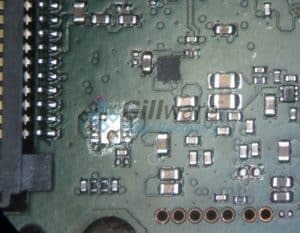 With a short on the control board, power couldn’t flow through the SATA interface, which meant that all of the data on the NAND flash memory chips was inaccessible. A shorted printed control board, or PCB, is usually a fairly easily-solvable conundrum for an experienced engineer… at least, when you’re dealing with a traditional spinning-disk hard drive. This is because the PCB is easily accessible and removable from the rest of the drive. An experienced engineer can successfully replace a shorted control board, given the proper tools and knowhow. But on an SSD, replacing a shorted control board is a much taller order. This is mainly because unlike in a traditional HDD, the control board isn’t so easily separable from the rest of the drive. The NAND chips—the SSD’s equivalent to a hard drive’s spinning platters—are soldered directly to the PCB… along with everything else. So of course, to fix this electrical short, we couldn’t just replace the whole PCB. Instead, what our electrical engineers and flash memory specialists would have to do was identify and replace the shorted component. Now, Samsung isn’t interested in sharing design documents or control board schematics. For our SSD experts, this meant we had to trace through the circuit board and testing its components one-by-one. Imagine trying to find the one burned-out bulb in a string of Christmas tree lights that just won’t turn on—except harder and more frustrating. This would be a tough data recovery case. SSDs have always made for tough work for data recovery engineers. We here at Gillware have always risen to the occasion, though, and this case would be no different. 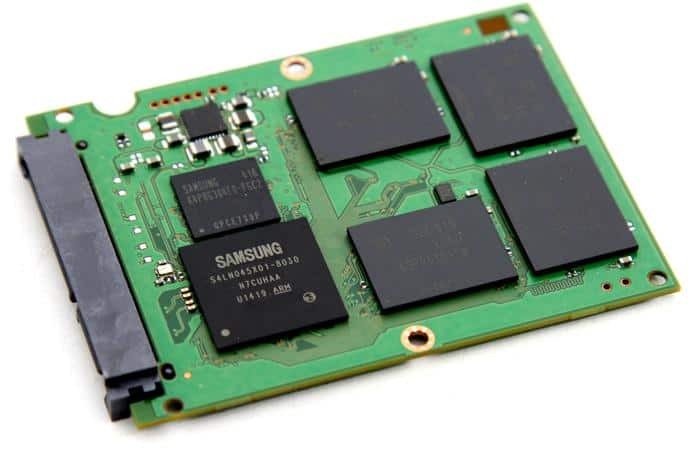 This Samsung 850 EVO SSD’s fried control board proved vexing to our electrical engineers. Even after individually testing and removing every component save for the NAND and controller chips, the short persisted. 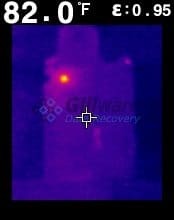 We ended up taking a look at the shorted board under a thermal camera, since the problematic area of the board would appear noticeably hotter than its surroundings. After some circuit board searching (and some soul searching), we discovered that none of the components on the board were causing the short. Instead, our culprit was the board itself. In this data recovery case, our shorted Samsung 850 EVO SSD had a multi-layer control board. Essentially, the control board was eight layers of circuit boards sandwiched together. This silicon-based sandwich had short-circuited when two or more of the layers had crisscrossed in a way they shouldn’t have. Some streams got crossed. And as any Ghostbuster can tell you, you don’t cross the streams. In the words of America’s greatest line of children’s toys/merchandising vehicles, “Knowing is half the battle”. Now that we knew what was causing the short and where it was coming from, some clever wrangling could bring this board back to life. With power once again flowing smoothly from the Samsung 850 EVO SSD’s SATA port through its circuit board and into its controller and NAND chips, we finally had our foot in the door. We managed to create a 100% perfect image of the SSD’s contents. With the client’s Bitlocker encryption credentials in hand, we verified that we had successfully recovered all of their data. We ranked this Samsung 850 EVO data recovery case a perfect 10 on our ten-point scale.